SUVs have taken the world by storm and this breed’s popularity is showing no sign of stopping. Just about every segment of car has an SUV version these days. When it comes to the high-performance end of the market it's no different – these family-friendly cars have the power to give more purpose sports cars a run for their money. Here are the top 5 Super Exotic SUVs to look out for. Maserati has launched the 2018 Levante, its luxury sports SUV, in India. The Levante is available in three trim levels - the base variant at a starting price of Rs 1.45 crore, the GranSport, priced at Rs 1.49 crore and the top-spec GranLusso variant which costs Rs 1.54 crore (all prices ex-showroom). A 3.0-litre V6 turbo-diesel is the only engine option available, we are hoping Maserati brings the petrol motor with the Ferrari-esque exhaust note. The Diesel engine available puts out 275PS and 600Nm of peak torque. The Maserati Levante is equipped with active air suspension, while power is sent to the all-wheels via an 8-speed automatic transmission which allows it to do 0-100kmph in 6.9 seconds and clock a top speed of 230kmph. The GranSport is the sportier trim with sports seats, sports steering wheel with paddle shifters, sport rear spoiler and red brake calipers. 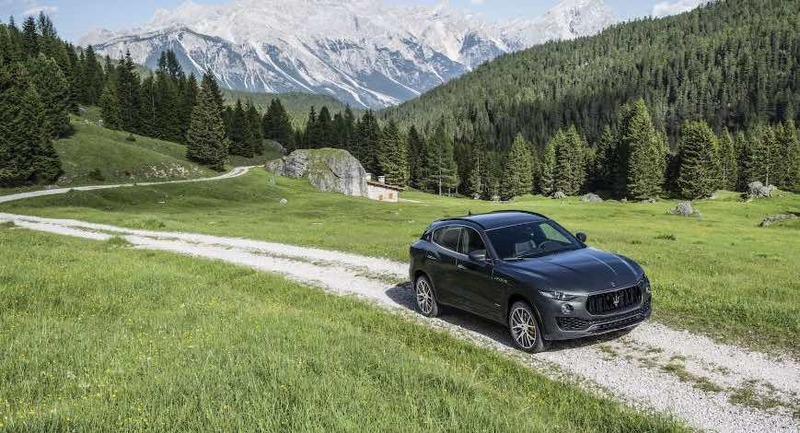 If you want your Maserati Levante to be more luxurious, pick the GranLusso trim which gets rid of all of those things we just mentioned and instead has black brake calipers for its 19-inch Zefino design alloys as well as Ermenegildo Zegna Silk interiors.